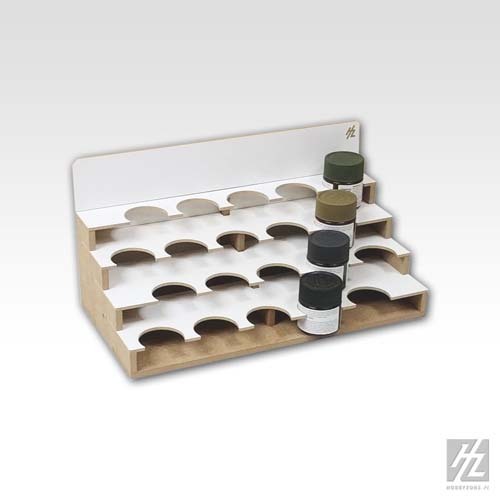 The OM05xb is a bottle storage module that can work on its own but it is designed to be stacked atop storage modules that are part of HobbyZone Modular Workshop System. Modules connect using magnets that are included and you can always change the configuration of the modules according to your storage needs. This module comes in kit form, consists of precision fitted parts and assembly instructions. Wood glue is required for assembly (not included). 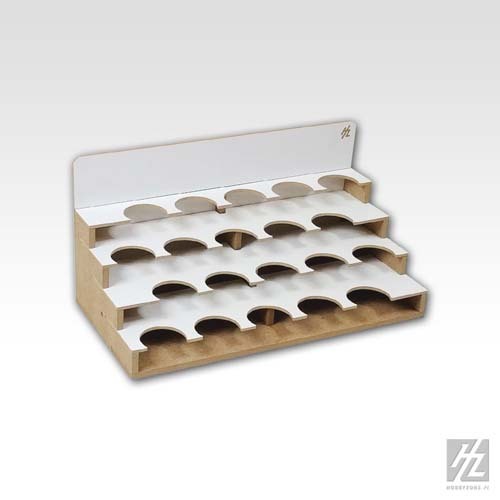 The holes in this module are 41mm in diameter and will accommodate the bottles listed below. The OM05xb Module does not include paints, tools or accessories, pictures just show examples of use.